Especially if you use your eyewear in a safety setting, you absolutely need to make sure that you get the right prescription. But too often, the right glasses are too expensive to afford for either professional or personal use. The ones that are actually affordable, on the other hand, do not possess the quality you need to take full advantage of their functionality, vision, and safety protection. That’s especially the case if you walk into a specialty store. Limited selection is only one problem, as the items in store also tend to be expensive. Still, there is a way for you to get affordable prescription glasses. All you have to do is be strategic about the search to save your budget and maximize your ultimate return on investment. What Makes for Affordable Prescription Glasses? First things first: we have to define exactly what ‘affordable prescription glasses’ actually means. That’s a seemingly simple question, but can quickly get complicated especially for safety equipment. After all, you will quickly find people paying large sums of money for eyewear that is crucial to protect their face. A simple pair of prescription safety glasses, if you look in the right places, can cost as little as $30 for the frame. However, costs for the lens and any customizations of the lens (such as transition lenses or scratch resistance) can add on to that cost. In addition, you can also find more expensive and comprehensive frames, and even goggles that protect a larger portion of your face for additional funds. Affordability, in other words, depends on the exact type of prescription glasses you are looking for. That’s why it needs to be considered in a comparative context. Know exactly what you are looking for first in both frame style and lens functionality, then begin to compare options that match these goals according to their price. Does Quality Matter More than Affordability? 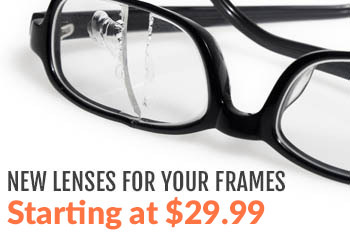 Generally speaking, it makes sense to get affordable glasses for everyday use. But when it comes to safety equipment, quality also enters the equation. That only matters more once you also factor in the variable of making sure you get your prescription just right. All of that, in turn, leaves an important question: should you actually care about the affordability of your prescription glasses? The easy answer is yes. We always recommend looking to save money on your eyewear purchase, not least because it allows you to make potentially important add-ons. For instance, anti-fog coating may become affordable when finding a less expensive frame, increasing the safety you’re looking for in the process. But there is an important point to be made here. Affordability does not mean cheap eyewear. In other words, you don’t and should not have to compromise quality just for a cheaper price. Instead of going with a less-safe brand or frame option, look to save on the margins. A store or online shop with a larger inventory, for instance, may be able to sell the exact same frame you were looking for at a lower race because of bulk pricing. What Criteria Should You Never Compromise On? Your exact prescription. Stay away from any shop that cannot promise you will get the exact prescription you need to see clearly. Lack of shatter resistance. 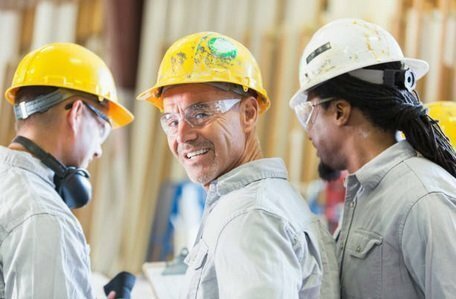 The core purpose of safety glasses is protecting the most sensitive part of your face from debris. To accomplish that, they have to be shatter resistant. Accomplishing your core goals. As mentioned above, each pair of your glasses should be purchased for a specific reason. Don’t sacrifice accomplishing that reason to save a few dollars. Within these limits, though, it’s still very possible to save on your prescription glasses. In fact, once you look beyond traditional eyeglass stores, you might be surprised by the options you find. It’s a step that too many individuals simply don’t consider as they look for a more affordable way to purchase prescription eyewear. What are the Limitations of In-Person Eyewear Shopping? Traditionally, shopping for prescription glasses anywhere outside of a traditional brick-and-mortar store has been almost unheard of, and certainly not recommended. Much of that has changed in the last few years, laying open the limitations of that experience. A limited selection, meaning that you might not be able to find a pair of glasses that fits your exact needs. 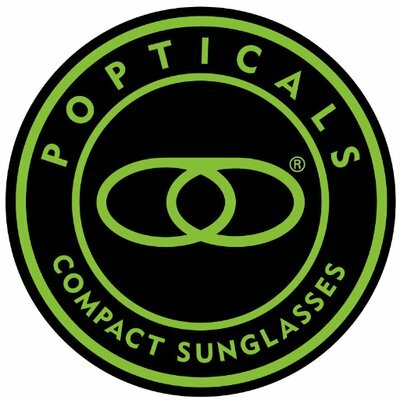 Generally higher prices, because your purchase will have to pay for the lease of the building and any employees as well as the eyewear itself. Inconvenience, as specialty stores selling prescription safety eyewear are not very common in many regions of the country. Online shopping for your glasses alleviates many of these disadvantages. Still, there are some things you should no before you start on the process of finding affordable prescription glasses online. How Can You Get Affordable Prescription Glasses? Finally, with all of the above in mind, we get to the central question: How can you get affordable prescription glasses that don’t sacrifice your personal and professional safety? The easy answer: Look to a trusted online merchant. But there is more to it than that. First, as mentioned above, you need to make sure that you know exactly what you’re looking for. That means understanding where you will need the safety glasses, and what situations they might be exposed to. Only move forward once you know exactly where your expectations are so you can find the right glasses for you at the right price. Second, get an accurate and current prescription. Even the most affordable eyewear doesn’t matter much if you get an inaccurate prescription, and you cannot see well. That means visiting your eye doctor and getting an exam, which might add some cost to your expected budget. Third, make a list of trustworthy online merchants that can help you find the prescription glasses you need. When possible, keep that list to about four to five websites at most, in order to limit the scope of your search. Then, find a few glasses that match your goals and preferences, add any extras you might find necessary, and compare prices. The final step deserves its own section, because of how important it truly is. Affordability means not just the initial sales price, but also what happens if you need to replace any part of your frame or lens. A cheap frame that needs replaced after a few months might actually set you back further financially than one that’s a little more expensive, but comes with a free warranty. What Do You Need to Know to Protect Your Interests? Make sure that you know about any potential warranties attached to your purchase. Know their coverage, as well as their limitations. That way, if something goes wrong, you are already prepared to get a new pair or recoup your interests. In addition, it makes sense to inform yourself about the returns policy of the online merchant you’re considering. Yes, you will save money when buying online. But that also means that if the frame doesn’t fit well or the prescription is not quite right, you won’t be able to tell before you purchase. Make sure that even after the glasses are shipped to your home, you can easily return them should they not fit or work as well as expected. Finally, look for merchants that have a proven track record of selling prescription glasses with a good mix of affordability and quality. Generally speaking, these merchants will have a high number of satisfied customer reviews displayed prominently on their website. If you cannot easily find testimonials to determine whether or not you are making the right decision, contact the merchant directly to ask for some third-party opinions on their products. Ultimately, and especially when it comes to safety glasses, you have to defend and protect your best interests. That means understanding how trustworthy the company from which you buy truly is, and what your rights are should something go wrong. That way, you know that when you spend your money, it will be a wise investment that both protects your eyes and minimizes the dent in your budget. We strongly believe that we can be that merchant for you. Rx-safety has decades of experience in the prescription safety glass space. Over that time period, we’ve perfected the price-quality balance that’s so crucial to potential buyers today. Contact us to learn more about buying your next pair of prescription glasses from our website, and to learn important information such as warranty, returns, and customer opinions.